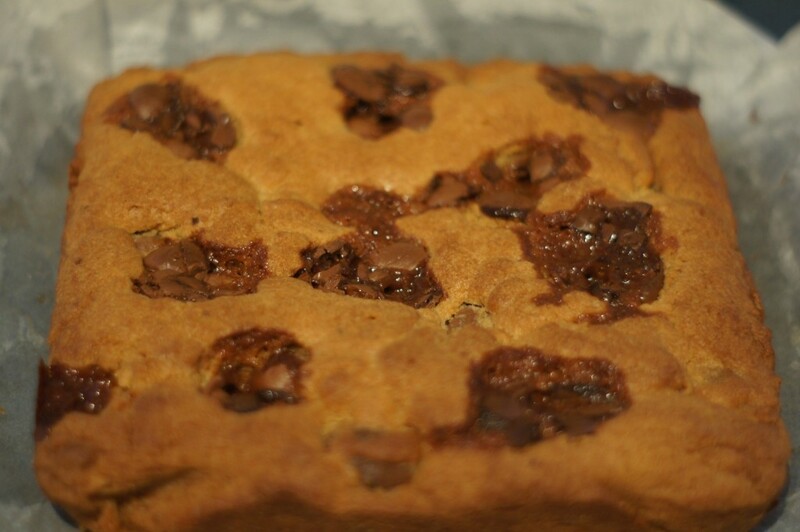 Keeping to the Easter baking theme I also made Cadbury Caramel Egg Cookie Bars. I found these via the Six Sister’s Stuff website (www.sixsistersstuff.com) which has some tasty recipes which are worth checking out. The actual recipe is on the Something Swanky website and can be found here. 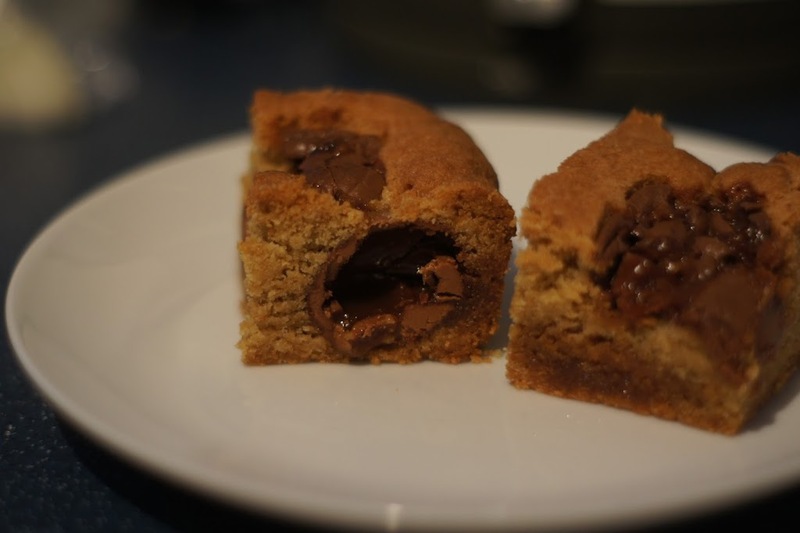 It’s an American recipe but I just used a conversion website to make it a bit easier! 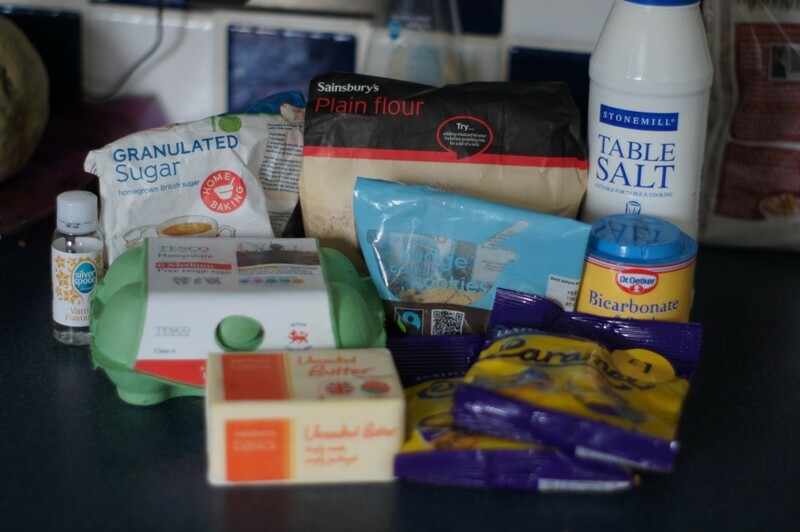 1) Mix all of the ingredients together (except for caramel eggs) – I used a normal electric whisk. 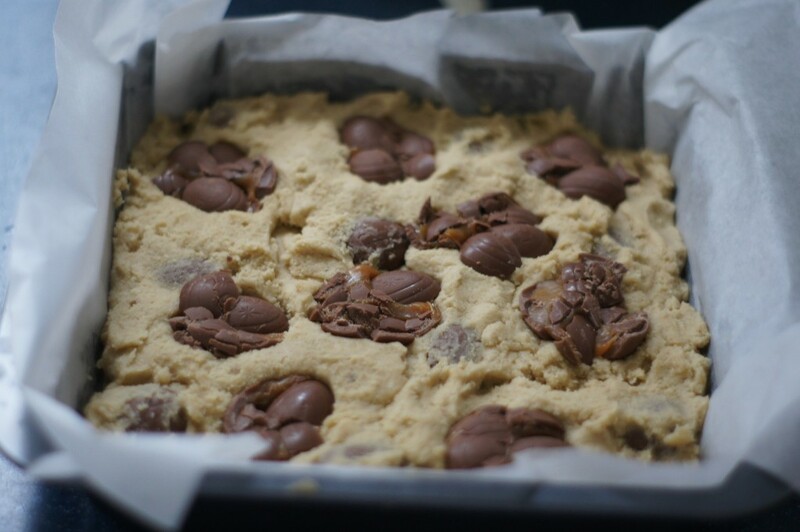 2) Add 1 packet of the caramel Cadbury Eggs into the dough. 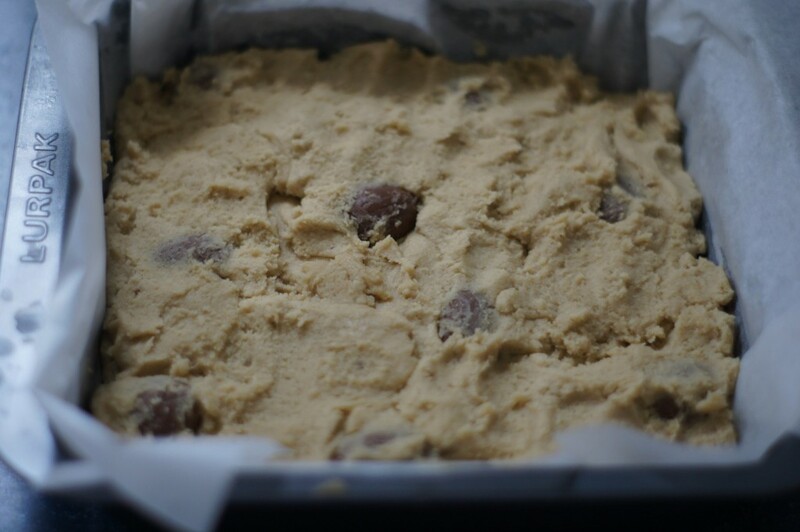 3) Press the dough (it really is like a cookie dough so won’t pour. You need to scoop out with your hands. Messy – but fun!) into a greased or lined 9in x 9in pan. 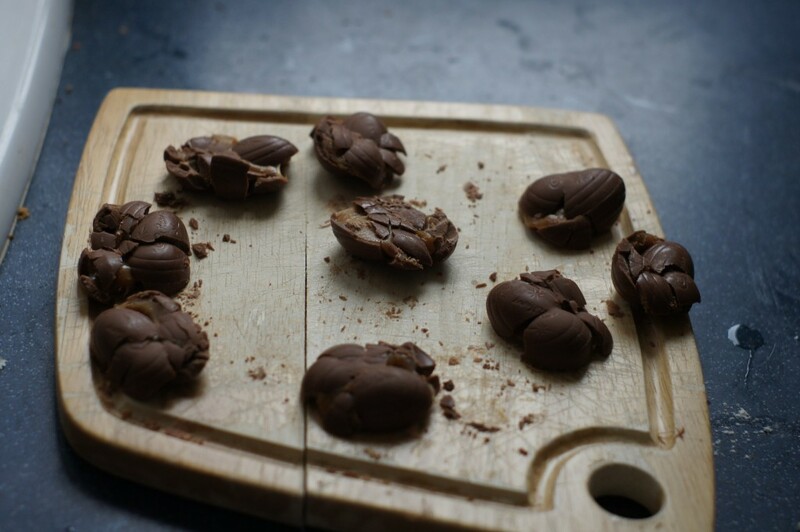 4) Squish the remaining pack of caramel Cadbury Eggs. 5) Press the eggs into the dough. 6) Bake at 350F (approx 170C) for 40-45 minutes until cooked and a cocktail stick comes out clean.